The Little Miami School District invites parents to attend a unique drug awareness program called “Right Under Your Nose” on Thursday, Nov. 1 at Little Miami Intermediate School. This is an adults-only program that will include a realistic exhibit designed to resemble a teenager’s bedroom which contains several items indicative of potential risky behaviors. 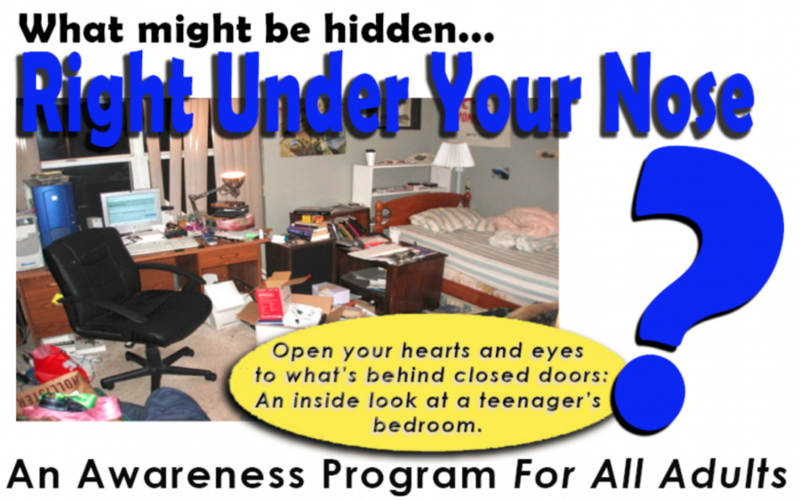 The tour of the room begins at 6 p.m. and the program begins at 6:45 p.m.
“Right Under Your Nose” is designed to help educate adults of the unseen hazards our children are facing. Topics include substance use, violence, juvenile crime, technology, risky games/challenges and more. Exhibit is accompanied by a presentation, discussion, and a local mother will share her story of loss. This event is open to all adults who work with or have children of all ages (parents, coaches, teachers, and others).